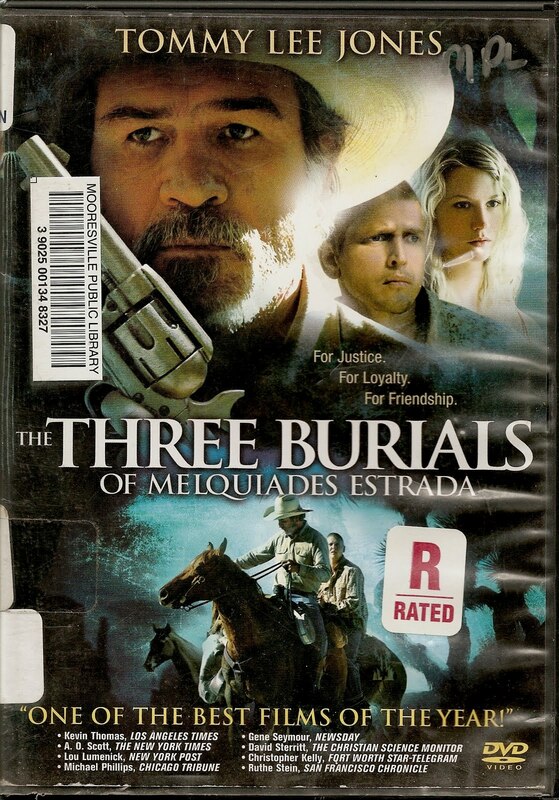 An illegal ranch hand, Meliquiades Estrada, is shot down by sadistic Border Patrol Agent Mike Norton (played by Barry Pepper)for pure sport, thinking he is an illegal and that no one will even know. But he has not counted on Pete Perkins (played by Tommy Lee Jones)who was the dead mans employer. He wants justice - but first he has to find out who did it. And in the volatile atmosphere of a small Texas border town this is no easy task. No one really cares. Except Pete, a grizzled ranch owner. The two men have formed a strong bond between them and Perkins has pledged that should something happen to Melquiades, he will carry his body back to Mexico and bury him in his home village. The men have been friends for the entire 5 years in which Meliquiades has been employed by Perkins. They do everything together, including chasing a local waitress(played by Melissa Leo) and her friend. The girls are also "friends" of the local Sheriff (played by Dwight Yoakam) who doesn't really care about another dead Mexican. When the girls overhear the Border Patrol telling the Sheriff what happened and not to follow up on it, the girls tell Parsons. Parsons then kidnaps the guilt ridden Agent and forces him to dig up Meliquiades decomposed body. He then forces Norton to accompany him across the border by horseback on a journey to fulfill his promise to the dead man. He even makes Agent Norton sleep with the body next to him each night, in an effort to teach him that he has killed more than just another Mexican, but rather another human being. Along the way things are turned upside down as the Border Patrol seeks to capture Parsons, whom they believe is a Mexican smuggler that has kidnapped a fellow Agent, before he can achieve his goal. Watch for Levon Helms, who plays a blind rancher living out his last days alone in the desert. He plays a small, but not insignificant, part in the story. By the time Parsons arrives in Mexico with the body, Agent Norton has gone insane from the guilt of what he has done. With the burial of Meliquiades, Parsons has fulfilled his promise, but now has to reckon with the crazed Norton and the Border Patrol as he makes his way back across the border to Texas. Beautifully filmed in the desert along the US/Mexican border, the film is both timely in it's subject matter, as well as spot on in the message it delivers. No man has the right to take another mans life just for the sport of it. Life and death are closely woven, and one mans hatred cannot go unpunished without diminishing all of our lives as a whole. At a time when the illegal immigration issue is such a hot topic, this film cannot be ignored. It is a close look into the forces that drive the cycles of corruption and exploitation. While Immigration Laws must be respected, sometimes there is a higher law that we cannot escape or ignore. For fans of Tommy Lee Jones, this film is yet another that showcases his superb ability to play any role he chooses.